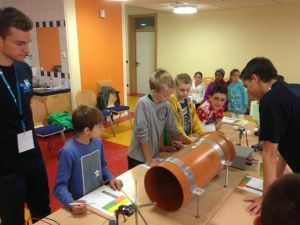 Since 2007, miniature models of real wind turbines have been built in a bid to help pupils from the Lycée Technique d‘Ettelbruck better visualise wind energy. Ever since, these early wind turbines have been put to use in an experiment comparing various types and models of wind turbines. Wind turbines of both the horizontal and vertical type have been built. To test the wind turbines, a small wind tunnel with a corresponding control unit was built by pupils in the context of the Windmobile extracurricular activity. 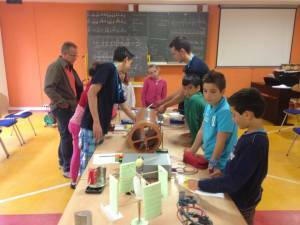 The control unit was developed as a project assignment by a Year 6 technician class as part of its “Énergie et Environnement (ENVIE)” syllabus. 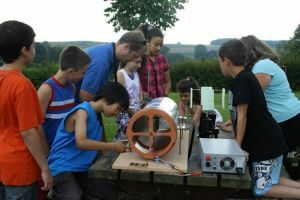 Over the years the experiment has evolved into pupils or children being tasked with finding out which wind turbine is the best by performing two small tests. The first part of the test involves determining the start-up speed of the individual wind turbines, while the second part electrically charges the wind turbines at a designated wind speed. Drawing on the results of the two test parts, the children or pupils must then determine which of the miniature wind turbines performs the best. 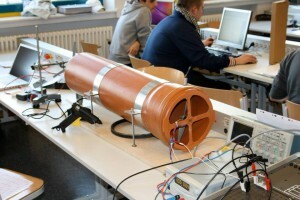 The findings are then compared with real wind turbines and expanded upon by the experiment leader. The wind tunnel project has been a permanent fixture of the Windmobile@school activity since 2007.